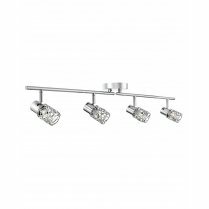 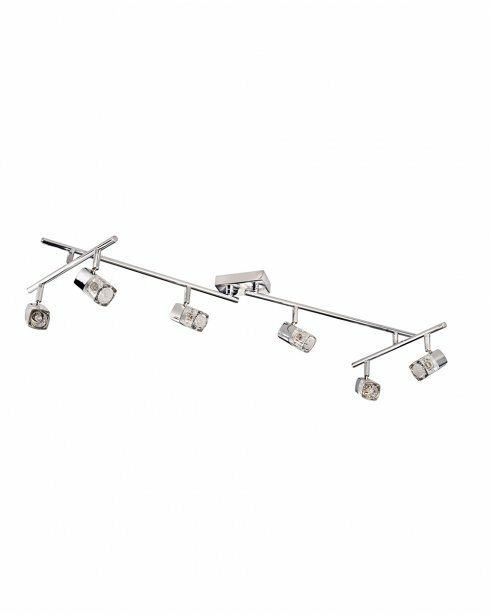 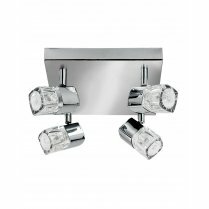 The Bloc 6 Light Bar Spotlight Fitting combines shiny polished chrome with chunky clear glass ice cube shades positioned along four slim bars. 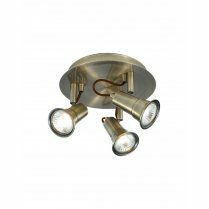 The spotlights emit 460 lumen and are fully adjustable, allowing you to direct light onto features or certain areas of your kitchen & living area. 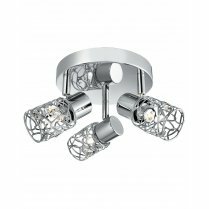 Continue the look throughout your home with matching spotlights and wall fittings in black or polished chrome. 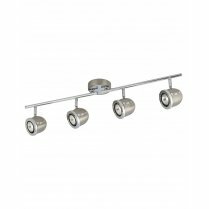 To view the full Blocs range, simply type 'Blocs' into the search box above. 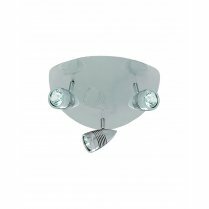 Requires 6 x 33W G9 bulbs and is suitable for use with low energy G9 LED's.